On Friday, August 19, Reza Clifton participated in “Troubling issues at Kennedy Plaza and the Ethics Commission dismisses the complaint against House Majority Leader John DeSimone,” a conversation on “A Lively Experiment,” a show that airs on RI PBS. PROVIDENCE, RI – Did you know that Black women and the African American community in RI deal with the highest infant mortality rates, the highest percentage of infants with low birth weight, and the highest percentage of pregnant women with delayed prenatal care? Did you know that the Black and Native American communities in RI have the highest rates of children with incarcerated parents – 63.8 for Black children compared to 8.0 for White children? Did you know that “all minority groups [in RI] have higher poverty rates than [W]hites and the state as a whole,” and that Black Americans and Latinos in RI have higher unemployment rates than Whites and the state? These sometimes staggering and often saddening facts, gathered and disseminated by the RI Department of Health, show how some communities are more vulnerable to the devastating consequences that come with these conditions and barriers – while others exacerbate the inequities or, at least, remain free or much less affected by them. On the other hand, both Black Americans in RI and Latinos have a lower median age than White Rhode Islanders and the state – meaning there are more and more Black and Brown youth and younger generations being brought up in RI who may help turn the tides on some of these Ocean State trends. Those are just some of the reasons why it’s important that we have inclusive and broad conversations and representations in the media, during and outside of election years. 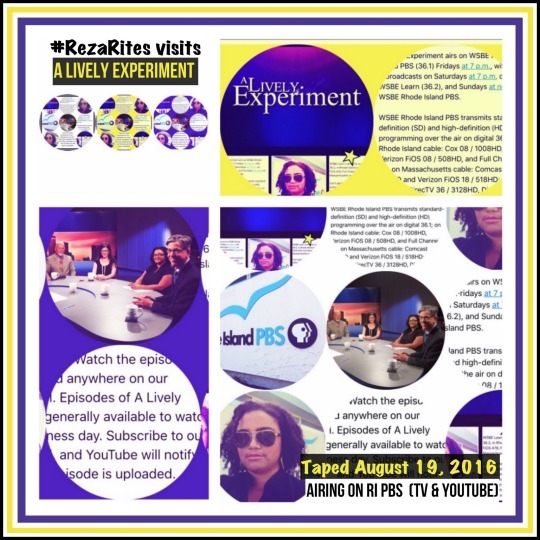 And that is why team #sonicwatermelons was so glad that Founder and Executive Producer, Reza C. Clifton, was selected to be a panelist on this week’s edition of A Lively Experiment, a political roundtable show that airs on RI PBS and PBS Learn. The show was guest-hosted by producer Kim Keough, and at the Friday, August 19 taping, #rezarites appeared alongside the following co-panelists: Ian Donnis, political reporter for Rhode Island Public Radio; Kate Nagle, news editor for GoLocalProv.com; and Dr. Pablo Rodriguez, president of Latino Radio and Chairman, Women & Infants Health Care Alliance. Catch it on the medium screen TODAY at 12 noon on WSBE Rhode Island PBS, which “transmits standard-definition (SD) and high-definition (HD) programming over the air on digital 36.1; on Rhode Island cable: Cox 08 / 1008HD, Verizon FiOS 08 / 508HD, and Full Channel 08; on Massachusetts cable: Comcast 819HD and Verizon FiOS 18 / 518HD; on satellite: DirecTV 36 / 3128HD, Dish Network 36.” Or see the YouTube clip: https://youtu.be/ENtr-yu-ZU4. Click here or on the sheet above to review some of the coverage and fact sheets reviewed by Clifton prior to Friday’s taping. Listen to the podcast on Soundcloud, http://bit.ly/2aTY7EP or read the full press release, and learn more about the #BlackLivesMatter on #SonicWatermelons podcast series here: http://bit.ly/2bfY7Or. Follow Sonic Watermelons on Facebook, Soundcloud and Instagram @SonicWatermelons and on Twitter @watermelonradio; subscribe to podcasts on iTunes under “Sonic Watermelons.“ Listen live on Tuesday nights or find archive links (going back to 2010) by visiting http://www.bsrlive.com. Depending on who you talk to, Christopher Johnson may not quite fit under the moniker of young. Or maybe you think the 45 year old does. Still, there is no arguing that the poet, playwright and actor is gifted and Black, to borrow from the wise words of Nina Simone. In fact, just this past May, Johnson was interviewed by the office of RI state Governor Gina Raimondo for the position of state poet laureate. However, Johnson now may also be known to some as the “poet” who “was arrested in Providence for ‘walking while black’.” That is because earlier this week on August 10, the Providence Journal published an article sparked by an August 3rd essay written by Johnson, for Motif Magazine, in which he discusses being “stopped by a police officer while walking home from a bus stop in May.” And on August 4, Bob Plain of RIFuture.org, also published a piece about Johnson and his arrest, including the perspective of Providence Public Safety Commissioner Steve Pare who said “‘The officer is going to have to articulate to the court why he asked this man his name and where he was going.’” Matt O’Brien’s piece in the Journal reminded readers that Governor Raimondo “is considering about 20 candidates for state poet,” with a note from the governor’s spokeswoman Marie Aberger saying that an “‘arrest would not preclude someone from being named to the position’” though acknowledging that “‘the seriousness of the alleged offense…[and] the circumstances surrounding it and the outcome’” may be considered. This is indeed a serious matter, and this is an ongoing case, all of which should help you understand some of the work Johnson shares, and why he sometimes writes, posts and advocates in the name of or with the inclusion of the hashtag #BlackLivesMatter. Luckily for all of us, he has developed this craft of joining words to create something new, and whether it’s love, racism, or violence, Johnson holds a mirror up to the world we live in, not to placate and soothe us but to ensure that the truth, sometimes harsh, sometimes beautiful, is told. Johnson is not only the face of racial profiling or another victim of police brutality, he is an artist. And that’s the man who joined Sonic Watermelons on June 28, 2016, when Johnson visited the show as a guest to tell us about his relationships and network in Providence, the many projects he has worked on, and the amazing opportunity he was embarking on the very next day in Sedona, Arizona. No, we didn’t talk about his experience with being profiled and harassed on a short walk home one night this past May. 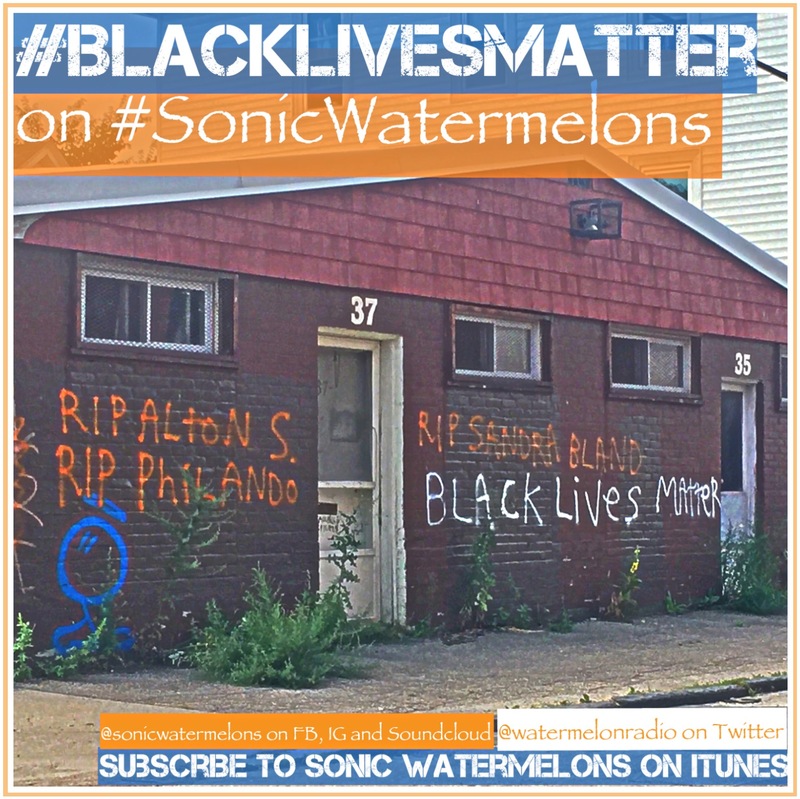 Because we don’t need violence and death to remind us to talk about why #BlackLivesMatter on #SonicWatermelons. 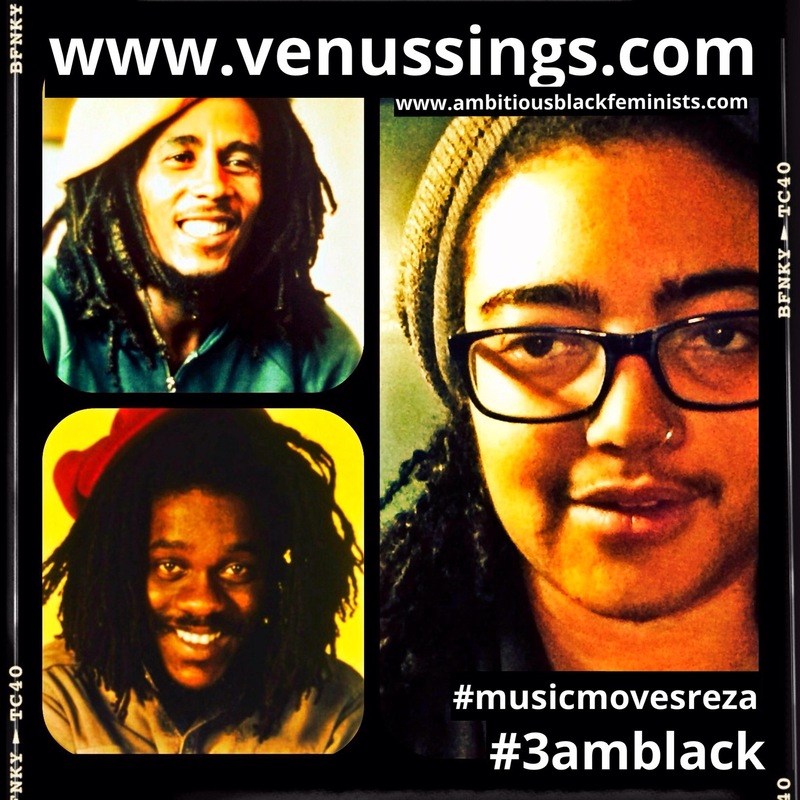 To listen to the podcast, “Christopher Johnson Visits Sonic Watermelons Y Las Vidas Negras Importan” click here: http://bit.ly/2aTY7EP. Subscribe to “Sonic Watermelons” on iTunes; follow the show on FB, SoundCloud and Instagram @sonicwatermelons and on Twitter @watermelonradio; and hear the live show via webstream every Tuesday, 7-8 PM on bsrlive.com.